Yes, you may upload your files with our job ticket, or call your CSR to help you. Yes, we can duplicate your discs in a day with no rush fee, schedule permitting. Yes, we print high resolution direct to disc, no media rotting, low-res inkjet or, paper labels here. Yes, we can convert your video file to first play DVD $65 or Blu-ray $85. Yes, we have DVD video copy protect. We print the faces of our DVD's / Blu-rays using Tru Photo gloss coat full-color and black Everest high res thermal printing. Tru Photo is neither inkjet nor paper label, (which can rot disc media overtime). It's an indestructible heat-printing technology. The print is fused to the disc surface so there is no need to worry about scratches, moisture or your disc media rotting. We even protect the print by applying a durable laminate over the print. Our thermal printers are capable of printing up to 600 dpi. Basically we put a laminated photograph on the cover of your DVD's. There is no substitute for high res Direct-to-Disc thermal printing. Our printing, pricing and turn-times separate us from our competitors. We never add rush charges and we never charge you a set-up fee. You can trust DupeShop to complete your next CD/DVD/Blu-ray order stress free. Dual layer DVD add $0.40ea, Blu-ray add $0.65ea. Shipping costs on average $17.00 to $25.00 for box of 500 or less. No setup charges, one to two day turns! Above pricing includes on disc printing and flood white media, bulk packed. Job Ticket - fill it out and get started! Start your duplication project with our convenient online job ticket form. Just fill it out and a DVB Media.com representative will contact you. It’s that easy! Need a quote? No problem, just fill out the quote form. FYI, we stock and produce all CD, DVD, Blu-ray custom packaging and cases, scroll down, if you don’t see it, have us quote it! Just like our DVD's we print the faces of our CD's using Tru Photo gloss coat full-color and black Everest high res thermal printing. Tru Photo is neither inkjet nor paper label, it's an indestructible heat printing technology. The print is fused to the media surface and there is no need to worry about moisture or media rotting overtime. Tru photo printing is extremely durable and will stand up to rigors of consumer use. Also know that we never add rush charges and we never charge you a set-up fee. No hidden costs, quality products, fast service, all means that our customers are happy customers. No setup charges, one to two day turns! Above pricing includes on disc printing and flood white media, bulk packed. Shipping costs on average $17.00 to $25.00 for box of 500 or less. Job Ticket - fill it out and get started today! No setup charges, and five to seven day turns + shipping! Above pricing includes on disc printing and flood white media, bulk packed. Start your project with our online job ticket form. Just fill it out and a DVB representative will contact you. It’s that easy! Everest printing technology ushers in a new era of affordable, offset duplication quality CD or DVD printing, producing photo quality on the disc surface that has the rugged durability of thermal. 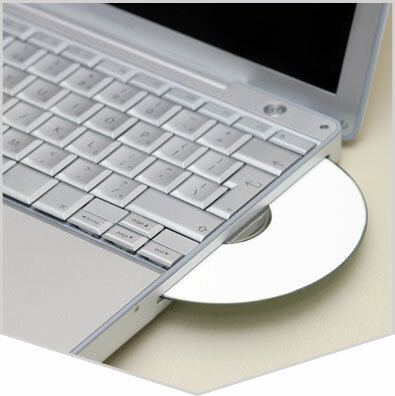 The Everest CD or DVD labeling process is second to none in on demand disc duplication printing services. You will get the benefits of our Everest Printer with MicroDry variable dot printing, which delivers images equivalent to 160 lines per inch, a true paradigm shift in technology. Everest blows away traditional screen printing 90 lpi, and eclipses magazine print standards 160 lpi, delivering unequaled 300 dpi cd duplication & dvd duplication printing quality.